First of all, what is a crown? 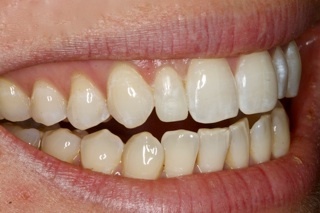 A crown or “cap” is something made by a dental lab to fit over a tooth. They are used to recreate the original form and function of a tooth. Crowns are often done when a significant portion of the tooth is missing, the tooth is cracked, or a root canal procedure has been completed. At this point of decay, without a crown, you are likely to loose the tooth in a short amount of time. 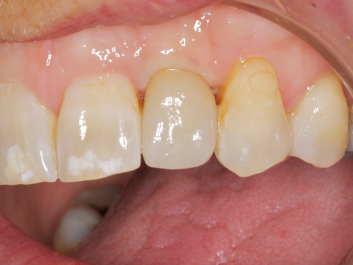 In the example above, the picture of the middle tooth on the left shows multiple fillings that now have decay around them. A crack has also made it painful to bite on. Due to most of the original tooth structure being gone, a crown will strengthen the tooth and help it last many more years. 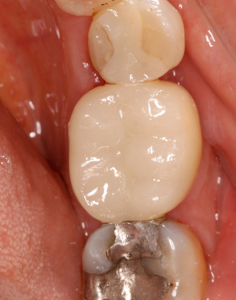 The photo on the right shows the completed crown, which has restored the tooth to its original look and feel. Many times an easy fix is the best one. 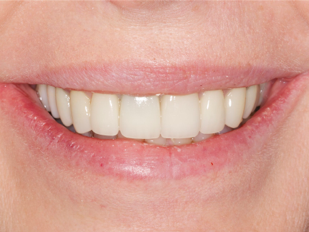 This patient has very nice teeth, but was born with a smaller front tooth and was not happy with its appearance. 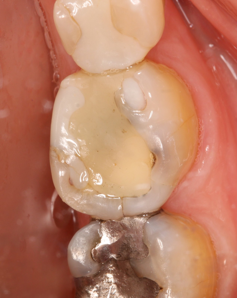 We were easily able to remedy this by bonding on a tooth colored restoration. 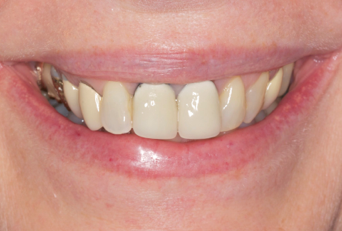 Here is an example of how crowns and bridges can dramatically change your smile. 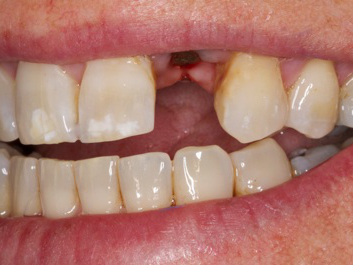 This patient had dental work done over many years and now had a healthy mouth, but due to differences in materials and dentists not much of the old work matched. She wanted it to look much more natural, instead of people immediately being able to notice the old crowns when she smiled. We discussed what she wanted and planned our design to achieve her goals. I was excited that we were able to give her a beautiful smile. 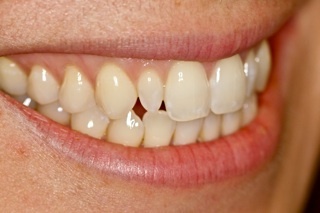 A missing tooth can be a major problem, especially when it is a front tooth. This patient had been missing this tooth for about 20 years and had a removable appliance, like an orthodontic retainer, to replace it. She had to worry about the retainer coming out, and it restricted what she could eat. An implant, which is in essence a synthetic root, was placed in the gums and followed by placing a crown. The implant and crown are now permanently placed. She is very excited to be done with her retainer and able to enjoy this new tooth!